Each year thousands of dollars are spent to clean up after the mess made by urban pest birds. 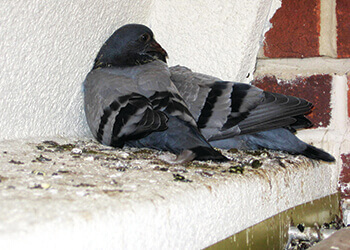 Pest birds such as pigeons, crows and gulls love to use building surfaces to land, roost and build their nests. 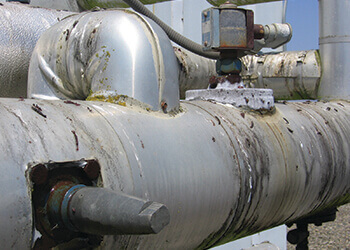 Bird feces is acidic and will quickly erode building materials; carrying any of 60 transmittable diseases. To prevent the spread of disease and prevent property damage, it is important to install some sort of bird control system before the bird problem gets out of control. When planning a bird control solution for your customers, it is important to be sure you know what types of birds are problematic, what they are doing and how many there are. There are many bird control products on the market, but the most effective for landing, roosting and nesting birds are those that physically keep the bird away. 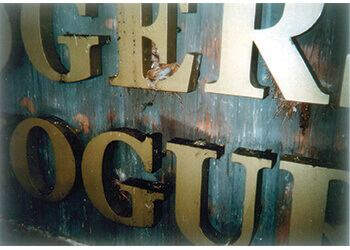 For flat surfaces such as parapet walls, roof peaks and edges, and building signs; it is suggested to use products such as bird spikes or electric bird track. For large areas that birds are congregating in such as big box stores, airplane hangars and under canopies; it is best to use bird netting to exclude the pest birds from these areas. 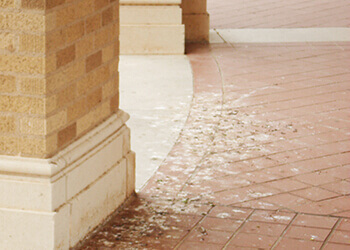 Birds, bird droppings and nesting materials carry transmittable diseases and ectoparasites. 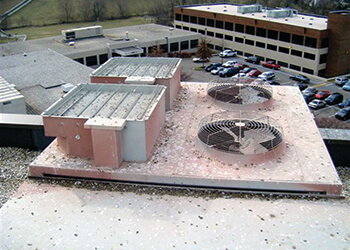 Bird droppings are highly acidic and can stain and corrode building materials. The longer birds can nest or roost in an unwanted area; the harder it will be to get them to leave. It’s important to take a proactive approach when dealing with pest birds. In the long run, it can save you time and money.